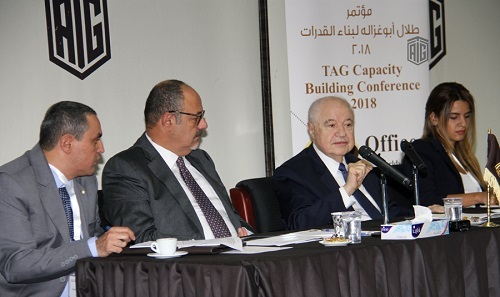 AMMAN-Talal Abu-Ghazaleh Organization (TAG-Org), the global organization for professional services and education held a special conference entitled "Talal Abu-Ghazaleh Development 2018" chaired by HE Dr. Talal Abu-Ghazaleh with the attendance of activity directors and managers representing TAG-Org's 110 offices around the world. The conference comes in response to the futuristic vision of Dr. Abu-Ghazaleh in the expansion and development of TAG-Org's services around the world and strengthen the Group's position as a knowledge-based organization. In his opening remarks, Dr. Abu-Ghazaleh stressed on the objective of organizing such event which focuses on developing the work of the organization under a new entity called "Talal Abu-Ghazaleh Development (TAG-D)" which will handle all aspects of the Group's development activities. Dr. Abu-Ghazaleh added that the Organization passed through two important phases since its establishment in 1972. The first phase was from 1972 till 1990 in Kuwait and the second phase started in 1991 till this day in which TAG-Org worked on the expansion plan of its services and its presence around the world which will continue with its message to provide services to develop the capacity building and serve the economy. Dr. Abu-Ghazaleh noted that this message is being implemented around the world without any exception, which requires investing heavily in the future and in marketing the services provided by TAG-Org. Dr. Abu-Ghazaleh underlined the fact that capacity building which will be part of the effort and work of the new entity will have the bigger share globally due to the reputation of the Group, its great history, the excellent expertise and suitable financial capabilities to provide such a service. Regarding expansion, Dr. Abu-Ghazaleh underscored the Group's strategy in providing its services and establishing new offices focusing on the fact that in 2017 and until today 35 new offices have been registered and licensed in Asia, Africa, Latin American and Europe. Dr. Abu-Ghazaleh focused on the establishment of Talal Abu-Ghazaleh University College for Innovations, a unique concept in the educational world and which will open in October with a mission of changing the traditional educational system and graduating inventors. 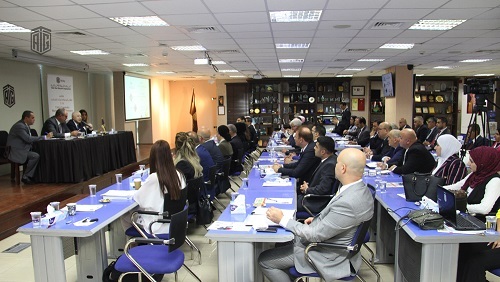 A host of decisions were made during the conference with the aim of developing the strategy of the Group based on the directives of its Founder and Chairman Dr. Abu-Ghazaleh. During the Conference, directors briefed the participants on the various fields and services presented by the Group around the world which included: Cambridge Assessment English, Arabic Fluency Test, E-Archiving, Talal Abu-Ghazaleh International Diploma in IT Skills (TAG-DIT), digital learning, tenders, Chinese language, recruitment and human resources, Quality Education, ISO in addition to others.